No electrical power to one side of the double wide mobile home or a circuit that has no electrical power? If your doublewide mobile home has the plug together type of crossover junction connection which I have usually found underneath at one end of the home and usually nearest the mobile homes breaker box end at the marriage wall where the two halves of the doublewide go together. Look under the home for any place in the under belly that may seem to have been disturbed or patched sometimes with a small board or re-taped. On some homes the junction is located in the ceiling and can be accessed through a removable panel. In some cases the connecting halves are coupled electrically in a doublewide crossover wiring junction box usually located along the homes marriage wall. They will usually have blank cover on them. I find these typically in closets or under kitchen cabinets. 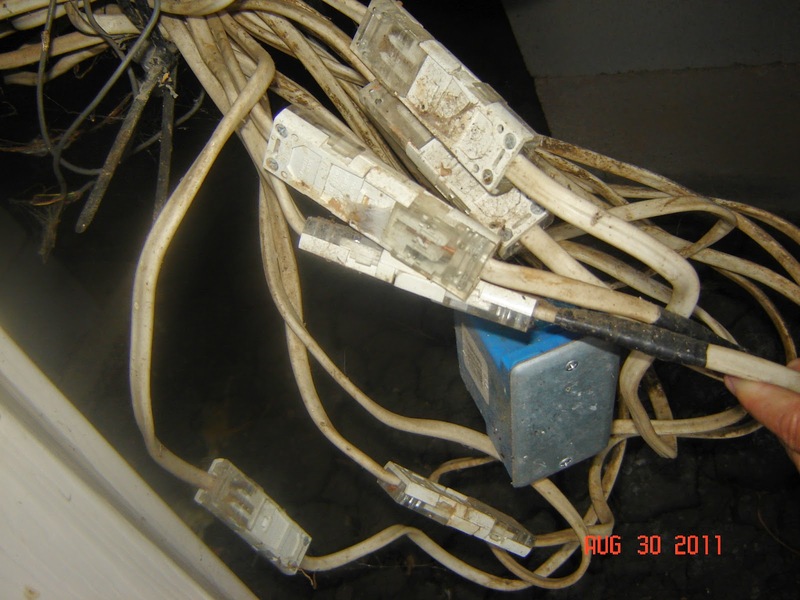 Some double wide mobile homes use a clip together type of plug these devices can lose connectivity and cause loss of power problem to entire circuits (see picture below). I recommend cutting these off and making a splice in a junction box, Be sure to twist the wires together and cap them with a wire nut or whatever your local code requires you to use. Some codes require crimp connectors. Twist the black electrical wires together, then the white electrical wires together and then the bare ground wires together. Cap them as required and place a blank cover on the electrical junction box. You can see in the same picture that someone has removed a doublewide crossover wiring connector plug and used a junction box as I suggested, however I would recommend securing the electrical junction box to a floor joist. It would also be a good idea to tag the wires so you can later identify them.